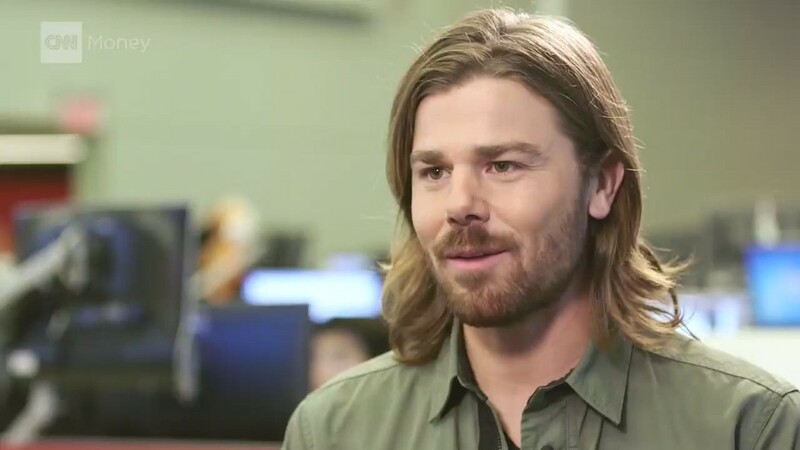 CEO Dan Price took a 90% pay cut and slashed his company's profits just so he could give his employees a raise. 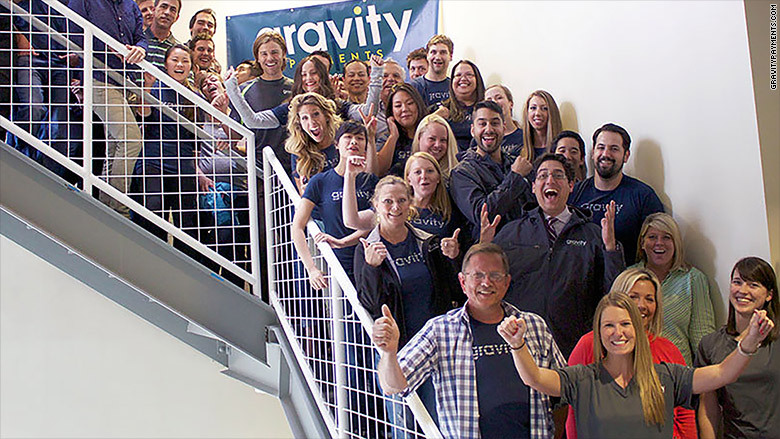 Price, who heads up the Seattle payment processing firm Gravity Payments that he founded, has pledged to make sure all of his staffers make at least $70,000 annually in the next three years. To do that he's cutting his $1 million salary to $70,000, and dipping into the firm's annual $2 million in profits. This will double the pay of about 30 of his workers and will mean significant raises for an additional 40. Price told employees of the new pay policy at a meeting Monday. For several moments there was stunned silence before people broke into applause and high fives said Phillip Akhavan, a merchants relations worker whose $43,000 salary immediately jumped 16% to $50,000. "It took us a moment to understand what he was saying," said Akhavan. His first call was to his wife, who he said didn't believe him at first. Gravity CEO Dan Price has pledged to make sure all of his staffers make at least $70,000 annually in the next three years. Nydelis Ortiz, a 25-year old underwriter who only started work there in January called her parents with the news. The family had struggled with homelessness after they moved to the states from Puerto Rico when she was a girl, and Ortiz, who also is now paid $50,000 said she now makes more than both her parents combined. "My mom cried when I told her," she said. Her $36,000 salary was one of the lowest in the company. Jason Byrd, 38, had struggled to get by in Seattle on his $40,000 salary as a technician. "This gives us so much freedom to just do our jobs and not have to worry about money," he said. He said he'll save some of his extra pay, and try to pay down some of the $42,000 he owes in student loans. "I almost bought a new Jeep today, then I decided I'll keep driving this one until it dies," he said. Price said he's the majority owner of the privately-held firm, which he started in his college dorm room 11 years ago. His older brother, who gave him seed money to get started, is the only other stockholder. "My brother Lucas reacted with caution and questions, but not objections," said Price. He's single so he didn't have to explain his pay cut to a spouse. Price decided to hike his employees pay after he read a study about happiness. It said additional income can make a significant difference in a person's emotional well being up to the point when they earn $75,000 a year. 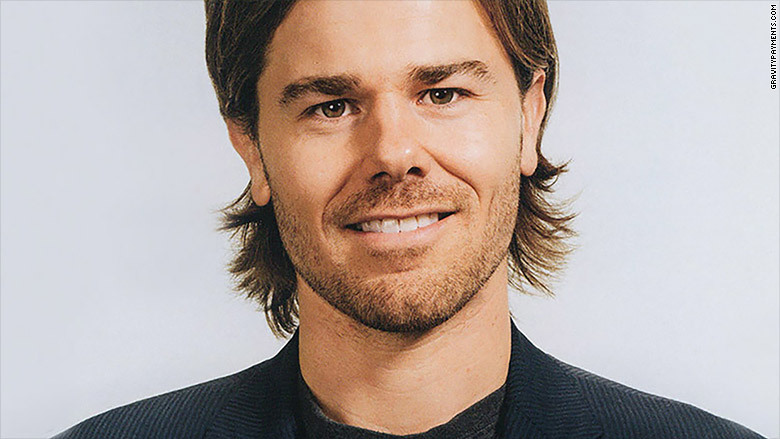 Gravity Payments CEO Dan Price. He'd also been hearing employees talk about the challenges of finding housing and meeting other expenses on their current salary, and decided there shouldn't be such a big gap between his pay as CEO and that of his workers. He described the raises as a "moral imperative." Price told CNNMoney he isn't the only CEO looking to close the income gap. He's heard from almost 100 other CEO via email and text who say they support his move. "I don't know if we'll see enough to move the needle, but i think people of my generation are committed to making a change." Price said he'll stick with the reduced paycheck until he can restore Gravity's profits. "My goal is to get back to previous profit levels within two to three years," he said. Price said the 50 workers who already earn more than $70,000 were nearly as excited about the news as their lower paid co-workers. "They are happy that the folks that enable them to be high earners -- their team members -- will be taken care of," Price said. Customer reaction has also been positive. "They love our service level and think the team deserves it," he said. One thing he didn't expect: "We are all surprised at the coverage this is getting," Price said. News of Price's pay cut was reported earlier by the New York Times.